Certificates | KOPOS ELEKTRO RD, S.R.L. The company uses integrated ISO 9001:2015 quality management system, ISO 14001:2015 environmental system, ISO 50001:2011 energy management a Safe Plant system and is a holder of the Czech Quality mark. 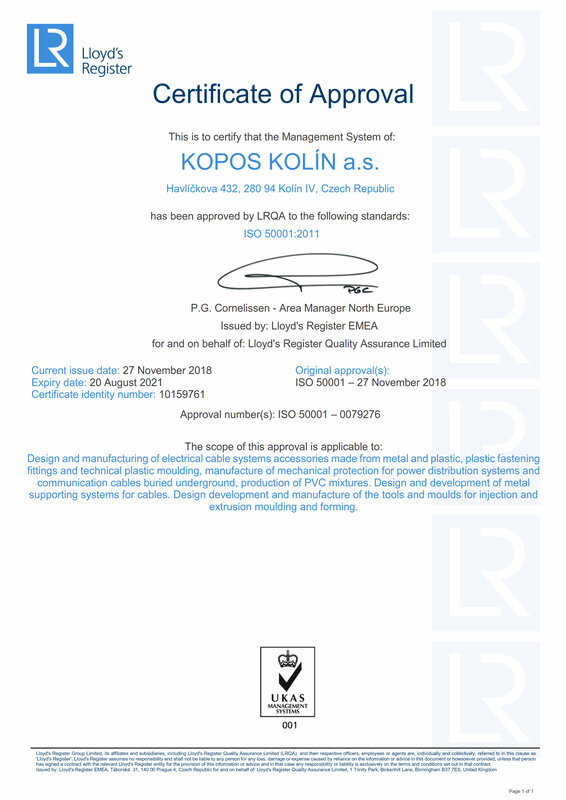 Product certificates apply to each individual product and are part of the product detail on https://www.kopos.com/en/e-shop.